Our plant allies provide wonderful healing opportunities for many of the common annoyances and problems involving skin issues. Bug bites, allergies, anxiety and minor wounds can all result in the cycle of obsessive licking and or scratching. Herbal Salves are a definite advantage to have on hand in our efforts to try to heal rashy, irritated or damaged skin. Combining the powerful properties of wonderful herbs such as chickweed, comfrey, plantain, chamomile, nettles and yarrow, this salve can offer relief for skin rashes, itchy insect bites, inflammation and minor wound care. Ideal for pets as there is little likelihood it will burn upon application and nothing is added that would be toxic if your pet licked it off. Chickweed is Stellaria media which in latin means little star. The little white flowers appear to be made up of five petals but look closer and you'll see each petal has a cleft to become ten little slivers. Chickweed is one of those creeper plants often cursed by gardeners when it "invades" the garden as it self-sows very rapidly. Once the summer heat builds these flower patches seem to just disappear. 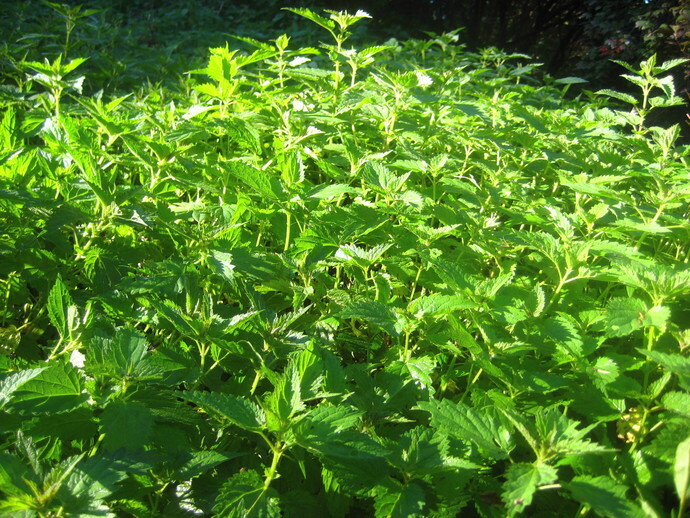 Preferring cool, moist soil, this plant is sought out by foragers as a mineral rich salad green. For topical use, chickweed is often used fresh as a poultice or made into a salve. To use as an ointment, the fresh plant is infused in olive oil for several weeks, after which it can be used alone or combined with other healing herbs. For this salve we added comfrey and plantain. Comfrey has the reputation of being a living medicine chest. A member of the Borage family, this herb was known as the plant that can join back together what has come apart. Bearing the sign of the planet Saturn, it stands for the joining, hardening energies. Plantain is another "lowly weed" often at the other end of the gardener's hoe in attempts to eradicate it out of the lawn. One of those wild herbs we step on without a thought but should you suffer a bee or bug bite look for the fresh plant, wad a leaf into a poultice to get the juices flowing and apply to the bite. Take note how quickly the pain of the sting is neutralized. Plantain, or Plantago major, is known as the "Mother of Herbs". Plantain is both edible and a valuable aid for skin conditions. Each of these herbs had been infused in cold-pressed extra virgin organic olive oil. Olive oil contains antioxidants that can help reduce skin damage. Olive oil and the beeswax used to thicken up the salve are incredibly soothing and help keep the skin from drying out. Antioxidant vitamin E is also added to help not only with healing but in extending the shelf life of the oils. 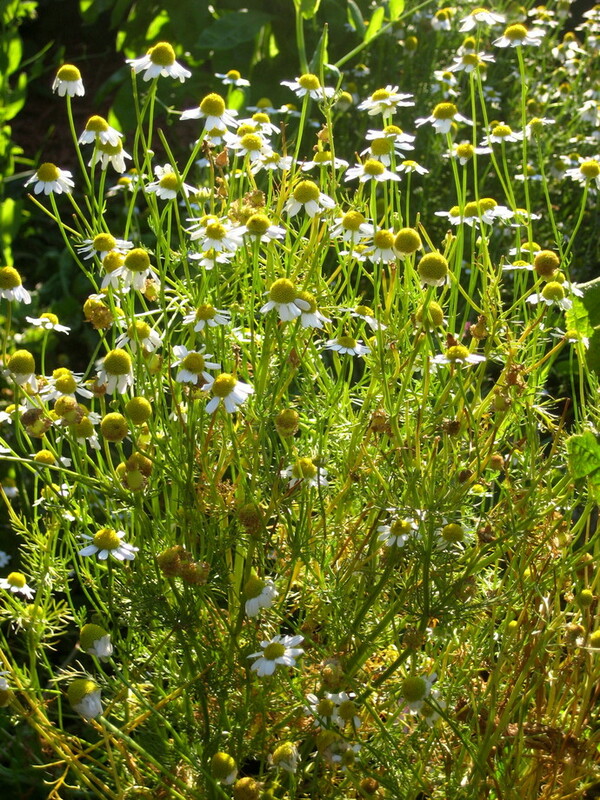 On hand, and which may be added or substituted if desired or if short on one or more of the other herbal oils, are chamomile, nettles and yarrow. These herbs are also very beneficial for skin inflammation and irritation. Anti-inflammatory properties make them valuable for rashes.